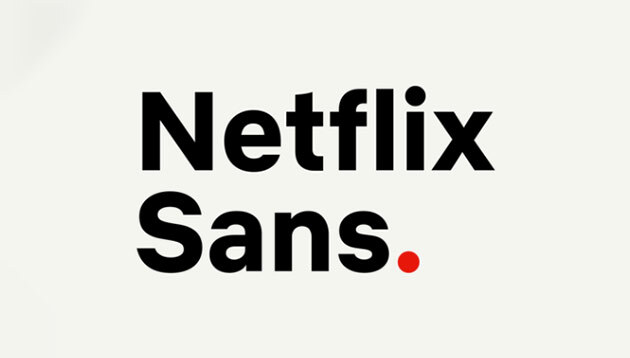 Netflix has unveiled its new font known as Netflix Sans, which according to its brand design lead Noah Nathan, is intended to serve “both display and functional purposes”. According to multiple media reports, the new font will enable Netflix to save “millions of dollars a year” as it moves away from Gotham, the font it is currently licensed and one that is widely used in the entertainment industry. Nathan added that font licensing can be expensive and Netflix Sans has “created an ownable and unique element for the brand’s aesthetic”, Adweek reported. Netflix is not the first company to have created its own font. In January this year, The Coca-Cola Company launched its own font known as TCCC Unity. According to the company’s VP of global design, James Sommerville the new font encapsulates elements from the company’s past and its American Modernist heritage. Other brands that have also created their own font include Intel, Nokia and General Electric. When asked if more brands are likely to follow suit, Katie Ewer, strategy director of JKR Singapore, said the move is not a new trend, as many consumer brands have created their own unique typefaces for decades. “If changes in copyright law mean that brands will need to pay for font licenses on an impression basis (as the case in China), you’ll find a rush on typography studios as brands scramble to avoid licensing fees by creating their own typefaces,” Ewer explained. This isn’t about building brand equity. It’s about using design to improve the bottom line of the business in the most direct way possible. That being said, fonts are one small part of a brand’s visual language. Ewer explained that a font’s impact on consumer perception is always implicit, unless the font in question is remarkably bad. “Comic Sans and Papyrus have crossed over from typography-land into the mainstream of publicly recognised and ridiculed fonts. So while font is important, it is certainly not something you’d test in a focus group,” Ewer added. Agreeing with Ewer, Dinesh Sandhu, managing director of DIA Brands, called Netflix’s move to create its own font commendable. This is because custom fonts are ownable, create affinity over time and if done correctly – timeless. Commenting on the design of the new font itself, Sandhu added that the creative expression leaves much to be desired. The new font has lost the dynamism of the initial visual identity that customers have grown accustomed and have an emotional attachment to. Netflix’s previous visual identity was inspired by the logo of CinemaScope, the anamorphic lens used in the ’50s and ’60s to shoot widescreen movies. Sandhu explained that this provided a tangible connection to the business, gave it an air of adventure, excitement and newness – tenets of the entertainment business and the functional offer of Netflix. “The digital age will see a plethora of brands that will develop custom fonts to combat plagiarism, suspicious use and worse still piracy. We haven’t seen the last of this phenomenon by any stretch of the imagination,” Sandhu said. Tyler Kim, currently MD of Korea, has been appointed to the role of managing director, North Asia, which extends his remit to incl..